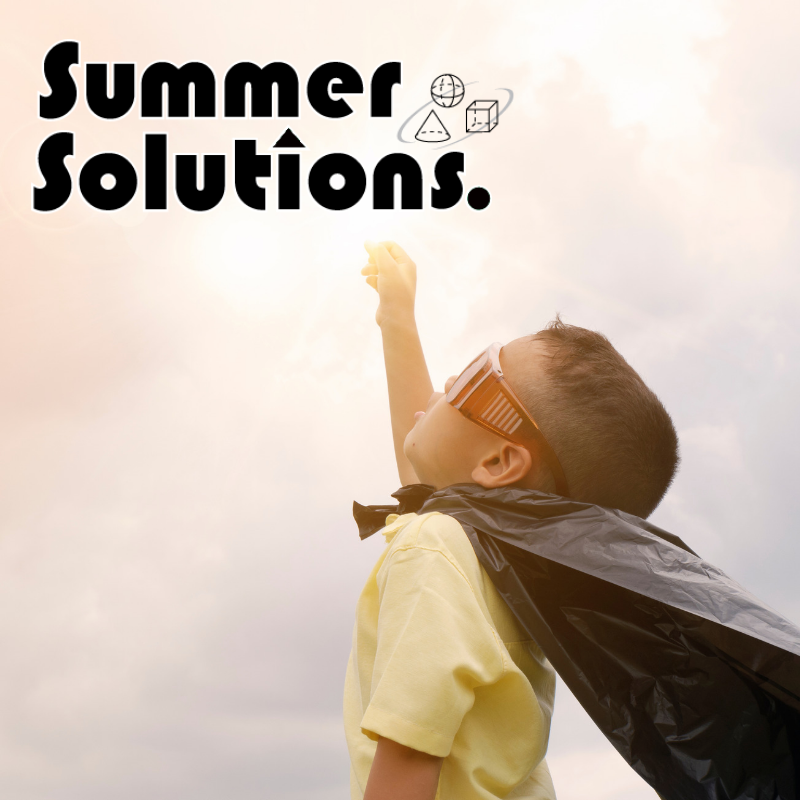 This Simple Solutions series aligns with Common Core State Standards for Reading Literature, Reading Informational Text, Writing, and English Language. 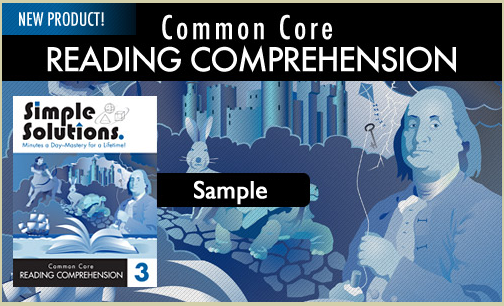 As recommended by the CCSS, the student book contains a 50/50 ratio of literary and informational text. 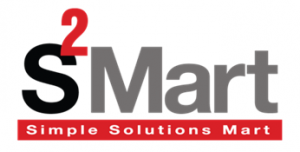 All items are coded to show alignment with the Common Core State Standards.This includes lessons, quizzes, and the Pre/Post-Test, as well as Writing Tasks. The Student Edition contains 108 lessons and 18 quizzes. Common Core aligned Writing Tasks provide practice with evidence-based writing. Complete lesson plans and student handouts are included in the Teacher’s Edition. Writing Tasks include pre-writing activities and address argument/opinion, informative/explanatory, and narrative writing. 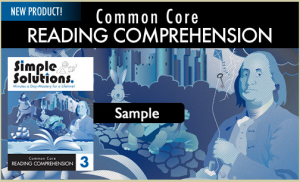 To get you started, we have created a second and third grade Common Core Reading lesson for you to use in your classroom right now!